Among the many technological developments of recent years, the Internet of Things stands out as one of the most promising. 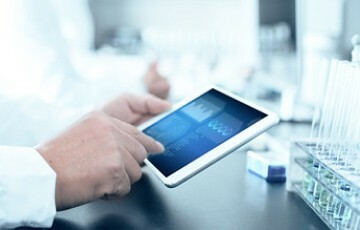 The potential of interconnected smart devices to implement tasks without human intervention has already proven its benefits in many industrial sectors but it is now about to become a game-changer in the healthcare space as well. Harnessing big data in order to improve personal healthcare with the help of IoT tech is quickly gaining ground among developers in the field – and the industry is set to grow even more. As of January 2018, the largest segment of IoT projects across the globe were smart cities, claiming a 23% industry share, followed by connected industry at 17% and connected building at 12%. Connected cars at 11% and smart energy at 10% complete the top five, but healthcare applications are already rising. They occupied the 6th spot and 6% of the market, and all signs show that the sector is set to develop further. The Mt. Sinai Medical Centre in NY managed to reduce emergency room waiting time by 50% by harnessing IoT, while other professionals are looking into IoT applications in chronic disease treatment, medication prescription, inventory and patients tracking, and telehealth. Data is set to play a major role in the merging of IoT tech and the healthcare sector. Healthcare is an industry that by definition handles sensitive data. Therefore, making sure that IoT applications adhere to strict safeguards and standards is crucial. Companies actively engaged in developing healthcare-related IoT applications are focusing their attention on data security in an effort to adequately protect the data they gather from internal and external threats including ransomware, data theft, and compromised or careless users with legitimate access rights who could pose a danger. This includes taking steps like discovering rogue databases, correctly identifying sensitive data in order to increase protection, and adhering to regulatory requirements like those outlined in HIPAA, GDRP and SOX. This focus is all the more important since IoT networks are prone to many vulnerabilities that have not yet been sufficiently addressed, as the industry is still developing and learning. Developments seem to be moving rapidly in the field. In early fall, the Internet of Things Community, a group that claims it is the world’s largest partnership of IoT practitioners, professionals and corporate executives in the field, has revealed its plan to establish a global Center of Excellence that will focus exclusively on IoT healthcare applications. The Center will have a mandate that will include developing guidelines and best practices to streamline IoT adoption by healthcare professionals. It will also create its own platform for sharing knowledge and resources across the industry, including a learning portal, and will be involved in organizing conferences and identifying other venues for enabling insight exchange among IoT professionals. The initiative is spearheaded by Chris Sullivan of Zebra Technologies, an Illinois-based company that is active in data capture and identification services for businesses. John Gresham of Cerner, which focuses on health information and electronic health record solutions and hardware, will act as vice chair of the new Center. Among the first priorities of the Center is to work on a framework focused on big data and analytics, personal health management, raising venture capital for new startups that are taking their first steps in the IoT healthcare field, developing comprehensive strategies for healthcare providers, and offering solutions for underserved communities. It remains to be seen whether the news about this new Center of Excellence will manage to gather enough enthusiasm and support around the project and act as a contact point between the healthcare and IoT industries.